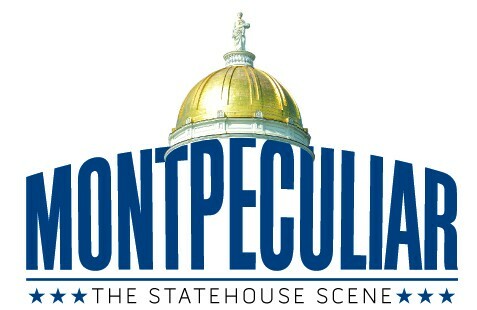 Vermont state curator David Schütz, who oversees the historic preservation of the Statehouse, wasn't in the building at the time. Reached by phone and told the news, he expressed concern and said he was anxious to get to the Statehouse to survey the damage. Schütz said the lamps date back to 1859, but the glass shade broken by the speaker’s swing was likely a replica installed during a 1994 restoration. After the incident Wednesday, the antique lamp still had an intact lightbulb on it and appeared undamaged — aside from the missing shade. Schütz noted that the mishap wasn’t the first gavel accident in the House this year. During a public hearing last month on abortion legislation, Schütz said, someone moved the gavel to a large table at the center of the House chamber. At the time, Schütz said, the table had a glass top. Perhaps predictably, the glass top didn’t make it through the hearing in one piece. “We’re having issues with gavels in the House all of a sudden,” Schütz said. Because the broken lamp was part of a matching pair, Schütz said it’s important to replace the shattered glass with an identical part. “I’m hoping that that particular shade I might have an extra in my storage,” he said. If not, Schütz said the state will likely have to special-order a new shade for the speaker’s podium. “The life of a curator is not as easy as people may think,” Schütz said. 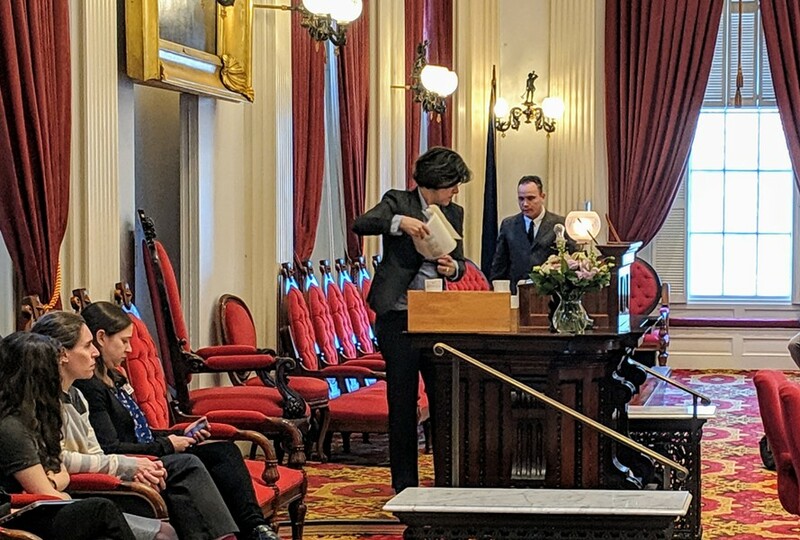 By Thursday morning, statehouse staff had replaced the lamp shade and the speaker's gavel — even though the latter wasn't damaged in Wednesday's incident. After she opened Thursday's session with the strike of a smaller-than-usual wooden gavel, Johnson explained the change to her colleagues. "Members will be relieved to know that I received a message from the chief of [Capitol] Police saying, 'Madam Speaker, large gavel privileges are suspended until we are sure you can be safe," Johnson said as the chamber erupted in laughter.